Above: On Ironmonger Row looking towards Warners shop in Cross Cheaping, with the Bull Ring area of Butcher Row at the left. 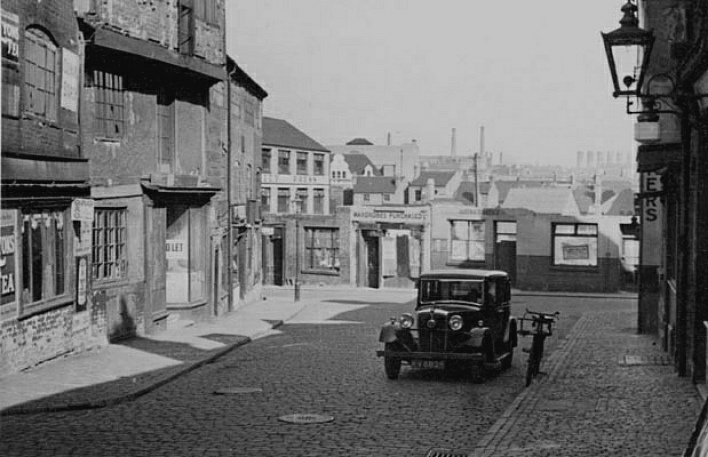 Probably 1936 just before the Butcher Row demolition to build Trinity Street which would pass across this point. 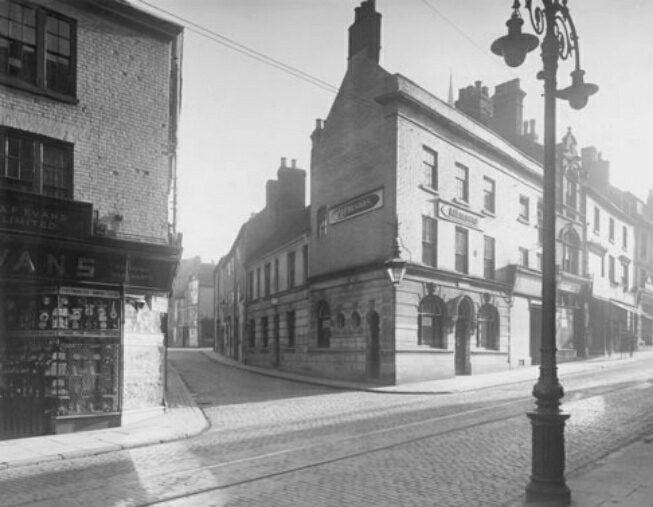 The photographer was standing next to the partly demolished Golden Lion Pub. 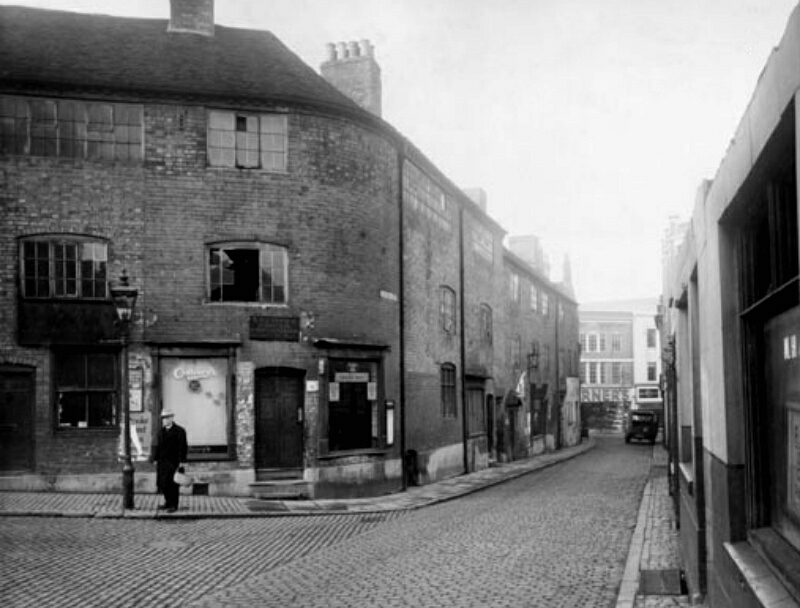 Above: On Butcher Row looking towards Ironmonger Row and the partly demolished Golden Lion pub. To the right is the road New Buildings. Above: On Cross Cheaping looking towards Broadgate from next to Warners shop. 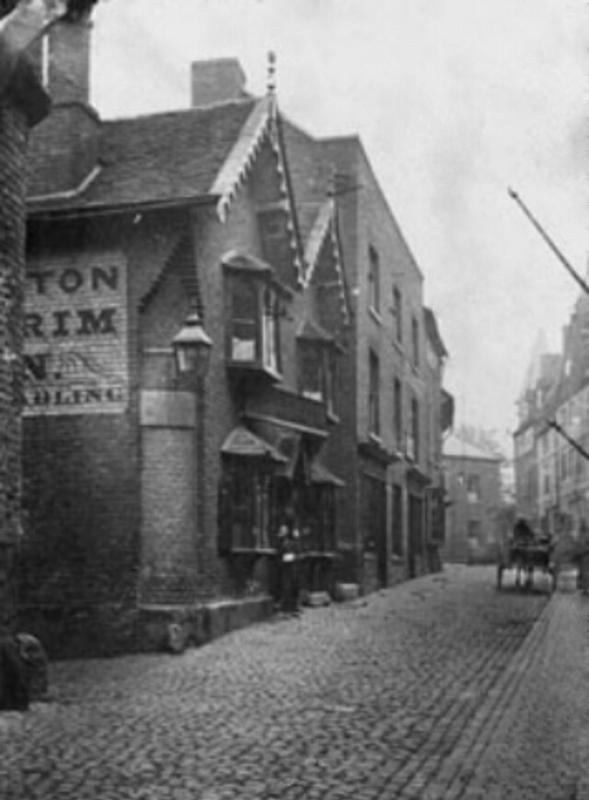 At the left edge of the picture is the Ironmonger Row entrance and to the right of it the Cross Cheaping Vaults pub. 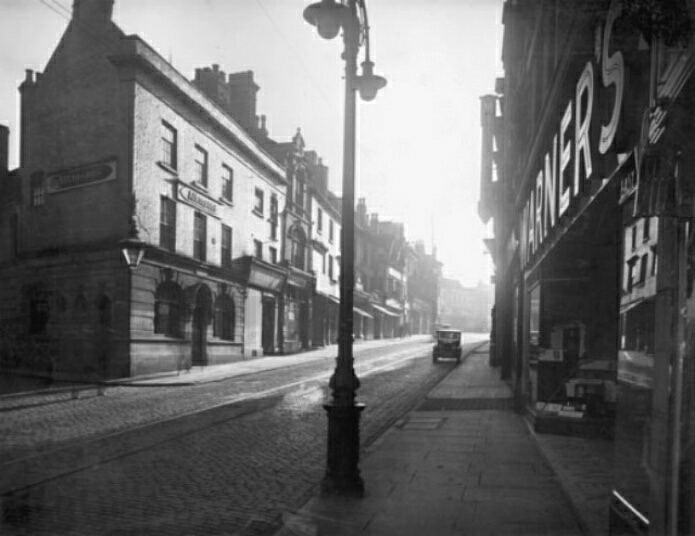 Above: Standing approximately at the edge of Warners with Warners at the photographer’s right, looking down Ironmonger Row with G&F Evans jewellers shop at the left. Above: A closer view with the Butcher Row entrance in the distance. 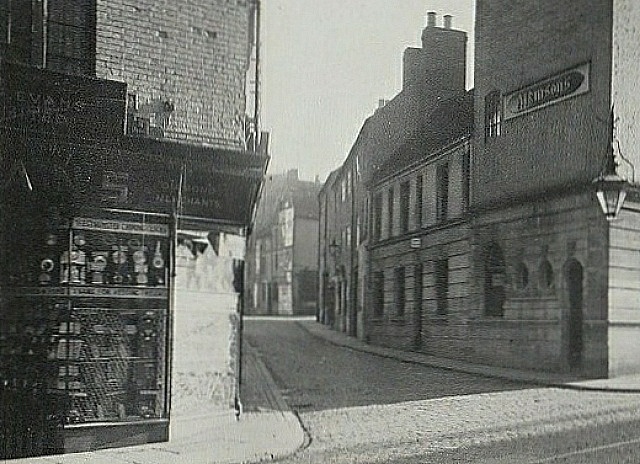 Above: Further along, the Pilgrims Rest Inn with the entrances of Palmer Lane at the left and Butcher Row up ahead.